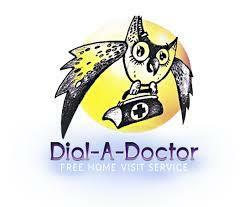 Dial a Doctor, as the name suggests, provides a service where you can call up for an out of hours GP to come and visit you at home. The best bit, aside from the convenience factor of having a home visit, is that the service is bulk billed, so there is no out of pocket cost for you (as long as you hold a Medicare or DVA card). Step 1 - Ring the call centre, to book a home visit. You will be advised of an approximate time of visit. Step 2 - The GP and their driver, is advised of your booking, and drives to your home for the appointment. Step 3 - The patient is treated at home, and is provided with a similar service to what they would receive at their normal GP's room. The Dial a Doctor physician, will write a script if need be, can order further tests and if required, can refer the patient for hospital treatment. Your Dial a Doctor GP will write up notes from their consultation which will be sent to your normal GP for your records. If your child is ever sick after hours, this is an amazing service where the GP comes to you and so that you don't have to head off to your nearest hospital for a lengthy wait. This is the service that you will mean you can avoid the midnight dash to the ER room, for something that a GP is able to attend to. This service is also incredibly handy if you've had a C-section and can't drive for a lengthy time but have a sick child at home who might need to be attended to. I recently used this service for my eldest son who had a high temperature and was crying and complaining of sore ears and a headache. Unfortunately, all these symptoms came to a head on a Sunday afternoon well after our normal GP's had closed. I called Dial a Doctor, and was told that there was a GP in my area, and that they would be round within a couple of hours. I got a call back shortly afterwards, saying that they'd actually be round within 10 minutes. My son was diagnosed with an inner ear infection, and received a script that we were able to fill that day. I provided my Medicare card to the GP's assistant, who completed the paperwork for hassle free bulk billing. This was a fantastic, speedy service that meant we didn't have to head to our local hospital and wait for hours. I think my son was very bemused by having a GP visit him at home and he felt very special receiving such excellent care. 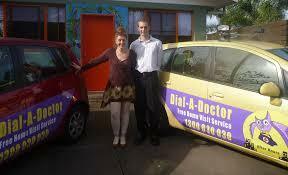 Dial a Doctor has been operating in Cairns for some years now, and has recently started up in WA covering the North Perth metro areas in addition to Rockingham and Mandurah. The existing operation in Cairns covers the metropolitan area from Palm Cove to Edmonton. Where can you sing karaoke in Perth?